The legal position of convicted offenders is complex, as are the social consequences that can result from a criminal conviction. After they have served their sentences, custodial or not, convicted offenders often continue to be subject to numerous restrictions, in many cases indefinitely, due to their criminal conviction. 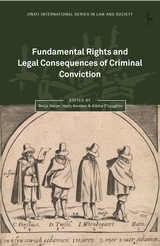 In short, criminal convictions can have adverse legal consequences that may affect convicted offenders in several aspects of their lives. In turn, these legal consequences can have broader social consequences. Legal consequences are often not formally part of the criminal law, but are regulated by different areas of law, such as administrative law, constitutional law, labour law, civil law, and immigration law. For this reason, they are often obscured from judges as well as from defendants and their legal representatives in the courtroom. The breadth, severity and longevity and often hidden nature of these restrictions raises the question of whether offenders' fundamental rights are sufficiently protected. 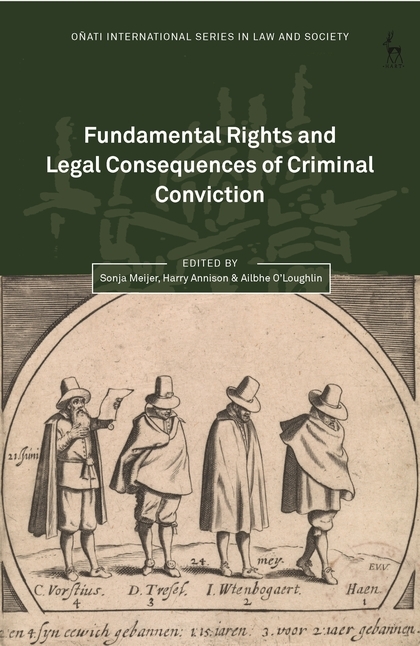 This book explores the nature and extent of the legal consequences of criminal convictions in Europe, Australia and the USA. It addresses the following questions: What legal consequences can a criminal conviction have? How do these consequences affect convicted offenders? And how can and should these consequences be limited by law? Sonja Meijer is Assistant Professor in Criminal Law at the department of criminal law and criminology, VU University Amsterdam. Harry Annison is Lecturer at Southampton Law School, Southampton University. Ailbhe O'Loughlin is Lecturer at York Law School, University of York.